Young people do not on the whole speak for themselves: they are spoken for by adults. Most research and policy agendas relating to young people are dominated by adult concerns about young people's health - rarely are the issues looked at from young people's perspective. This gap in our knowledge may be a critical factor in explaining some of the problems that health educators face in getting young people to transform health knowledge into action. 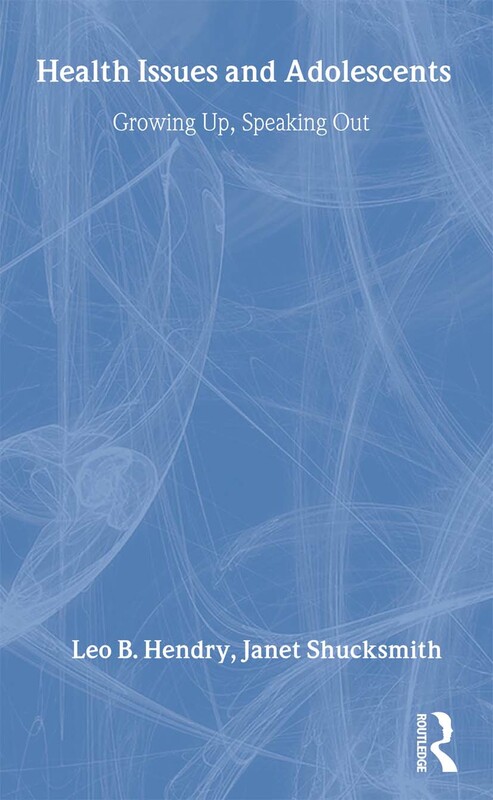 Based on their own research, Shucksmith and Hendry relocate the issues to a young person's perspective and provide recommendations about initiatives relevant to a wide range of professionals and researchers involved in the health education of young people.